No, its not related to chicken!! Chikungunya is a viral disease similar to dengue. The prominent symptoms are fever and severe joint pains. Other symptoms like muscle pain, headache, nausea, fatigue, and rash can also occur. First described during an outbreak in southern Tanzania in 1952, the joint pain caused by chikungunya is particularly painful and debilitating and can vary in duration and can last for several months. Chikungunya presents with abrupt onset of fever and severe joint pain. Symptoms typically start two to ten days after an infected mosquito bite. There can be other symptoms such as muscle pain, headache, nausea, fatigue and rash – small red spots all over the body. Occasional cases of eye, neurological, heart complications and gastrointestinal complaints have been reported. The disease can also cause death particularly in people who are already debilitated due to illness and older people. In most cases however, the symptoms can be mild or can go unrecognized or misdiagnosed particularly in areas where dengue occurs. The virus is transmitted from human to human by the bites of infected female mosquitoes. 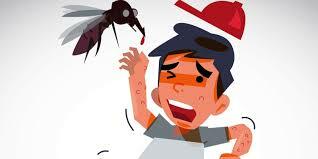 The mosquitoes are mainly of two types Aedes albopictus and Aedes aegypti. These mosquitoes bite mainly during the day time. The virus may also be kept alive by circulating among some kinds of birds and animals like rodents. Diagnosis is made by correlating the clinical picture and lab tests. The blood test may show a decreased WBC count, but a specific diagnosis is made by testing for the viral antigen or the antibodies against the virus. There is no specific antiviral drug treatment for chikungunya. Please note that since it is a viral illness, antibiotics are ineffective in treating this condition. Treatment is directed primarily at relieving the symptoms, including the joint pain using anti-pyretics, optimal analgesics and fluids. Since a commercial vaccine is still unavailable, the most effective means of prevention is by avoiding contact with infected mosquitoes and controlling mosquito population by restricting their habitats and various methods of terminating them. Keep the surroundings clear of stagnant water or pools where mosquitoes can breed. Use mosquito nets and close windows in the evening to prevent mosquitoes from entering. During outbreaks, insecticides may be sprayed to kill flying mosquitoes, applied to surfaces in and around containers where the mosquitoes land, and used to treat water in containers to kill the immature larvae. For protection during outbreaks of chikungunya, clothing which minimizes skin exposure is advised. Repellents can be applied to the exposed skin or to clothing in strict accordance with product label instructions. For those who sleep during the daytime, particularly young children, or sick or older people, insecticide-treated mosquito nets afford good protection. Mosquito coils or other insecticide vaporizers may also reduce indoor biting. Basic precautions should be taken by people traveling to the high risk areas including use of repellents, wearing long sleeves and pants and ensuring rooms are fitted with screens to prevent mosquitoes from entering.